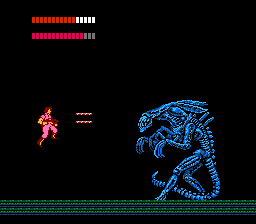 Before I finish things up here, let’s have a look at the only version of Square’s Aliens that saw a commercial release. 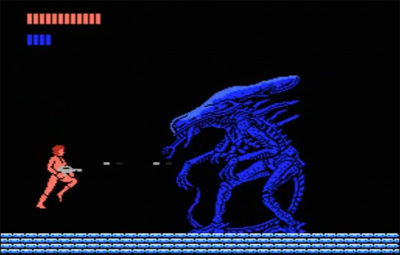 Above is a video from the MSX home computer edition of Aliens, released in 1987 in Japan and in Europe. 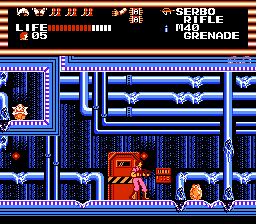 Though the game’s structure is largely the same in both the FDS and the MSX versions, there are some key differences between the two. 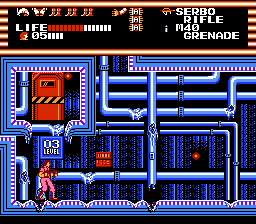 Weapons have limited ammunition in the MSX game, for one thing — a somewhat pointless change, since new gun pickups are so plentiful. If anything, it would’ve prevented players from holding on to a favorite weapon for too long. 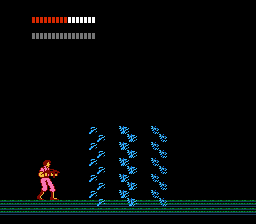 There’s also an enemy radar that isn’t present in the FDS game — another inconsequential addition, as it doesn’t show off-screen enemies. 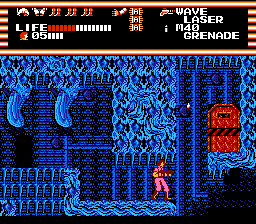 On the other hand, the MSX version of the game is made much easier by the fact that enemies don’t spew life-draining acid after you kill them. 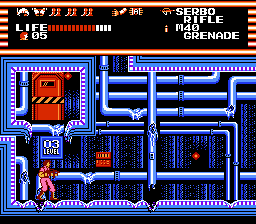 The gameplay mechanics appear smoother, too. The jumping is less awkward, and there’s an actual rolling mechanic — with dedicated frames of animation and everything! — eliminating the need to jackhammer the jump button to crawl under low ceilings. It’s difficult to say which version of Aliens was intended to be released first, or if both editions were developed concurrently. 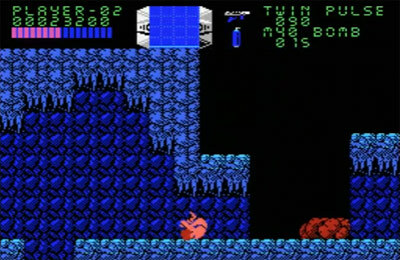 It’s likely, though, that the FDS version was incomplete when it was scrapped, and the MSX game’s enhancements resulted from additional development time. Sorry to say it, but level 3 is mostly unremarkable. 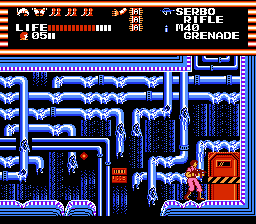 There are far fewer doors here than in level 2 (thank god), and it’s much more action-focused. 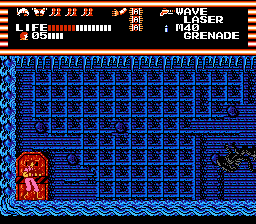 …which, in this game’s case, means that enemies now spawn in groups of three or four at a time. It’s pretty annoying, but nothing that can’t be overcome with rampant savestate abuse. Hey, a fellow human! What’s up man! No level would be complete without at least a few doors that take you back to the starting point. Hopefully you know better by now. This is where the game really changes things up and delivers something unexpected! The same strategy applies here as in level 2. 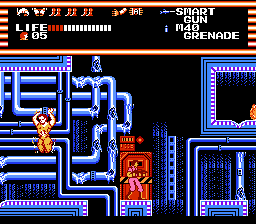 Rush behind the queen, and shoot her until she’s dead. And now, the final level. I’ll spoil it for you now: the game has officially run out of steam by this point. There are no new ideas or gameplay mechanics to be found in level 4. Take this door, for example. Guess where it takes you. …takes you all the way back to level 3. Nice. Yeah, don’t open that door. 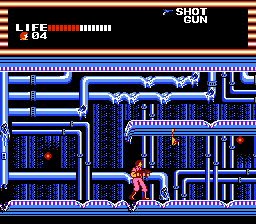 This room is the most challenging part of the level. 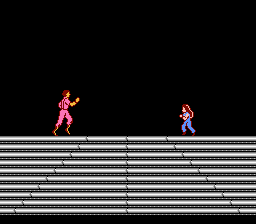 You may not notice the small blocks at the bottom of the screen the first time you enter, but you can stand on them to cross the pit. At the end of the corridor is this gap, which requires a high jump and climbing. It’s stupidly hard to pull off. One nondescript hallway later, you’re ready to fight the final boss! This one’s interesting, since Square obviously put a lot more effort into it than the other bosses. Okay, so I’m a goddamned liar. 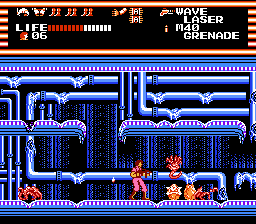 I can’t tell you whether this boss is supposed to be more difficult than the previous bosses, since by this point, you’ve probably picked up the Wave Laser. It destroys all normal enemies in one hit, and unlike other weapons, nearly every shot you fire at the queen is a guaranteed hit. 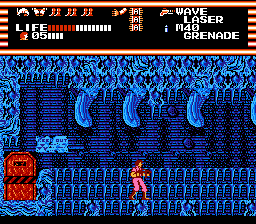 So, basically, the final boss is actually much easier than all of the other bosses. And that’s it! For further viewing, I suggest checking out Frank Cifaldi’s speedrun of the game, which shows off a couple of secret rooms not shown in this series. Between my walkthrough and Frank’s video, I hope you’ve learned that you never need to play this game. 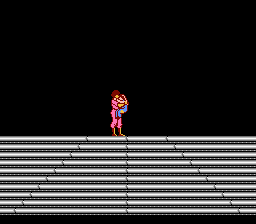 This entry was posted on Friday, January 14th, 2011 at 9:15 pm and is filed under NES, Prototype. You can follow any responses to this entry through the RSS 2.0 feed. You can leave a response, or trackback from your own site. Great writeup. I will never play this game. 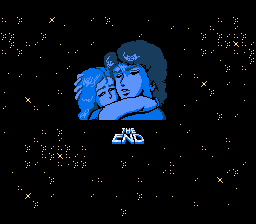 I suspect that given more development time they would have had at least some difference between the bosses, not that it would have really mattered in the end, most likely. I dunno, the MSX version was commercially released (not that that guarantees development was finished, of course). 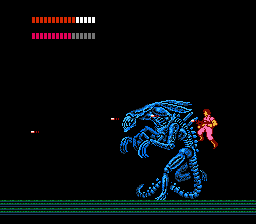 Did that one have any unique bosses, or were they also just cut-and-paste alien queens?